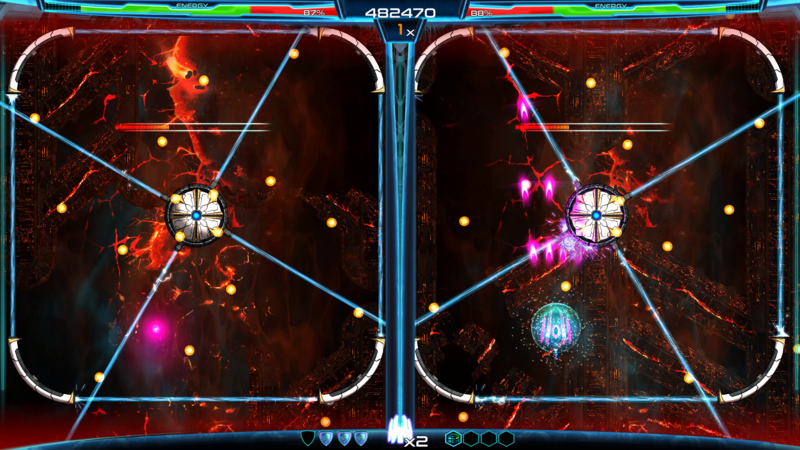 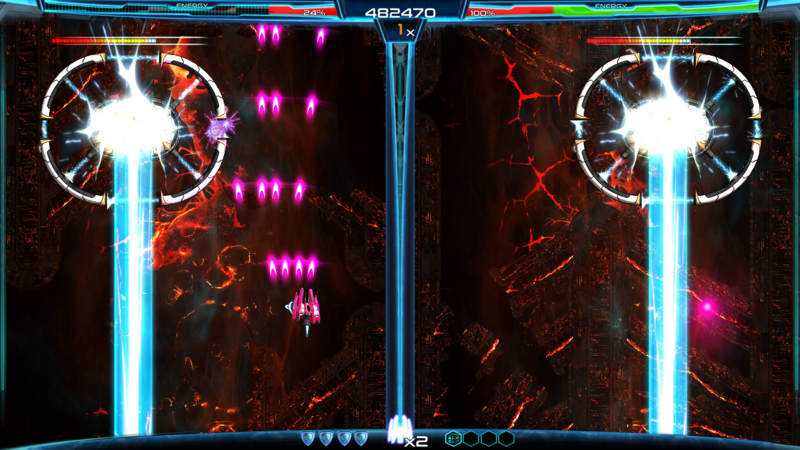 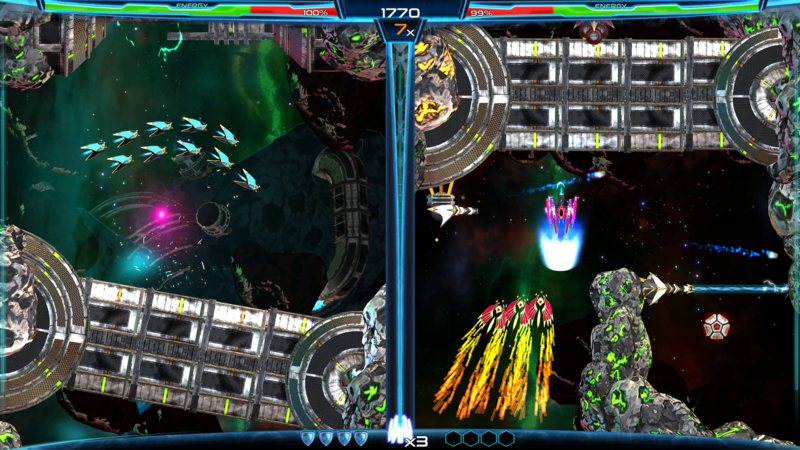 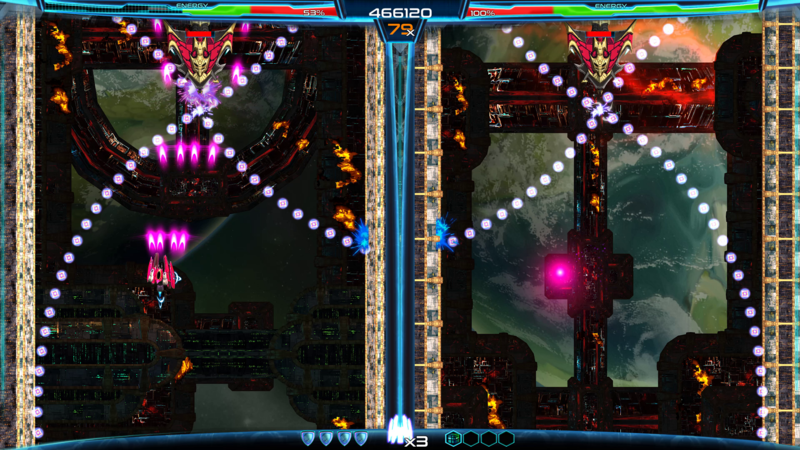 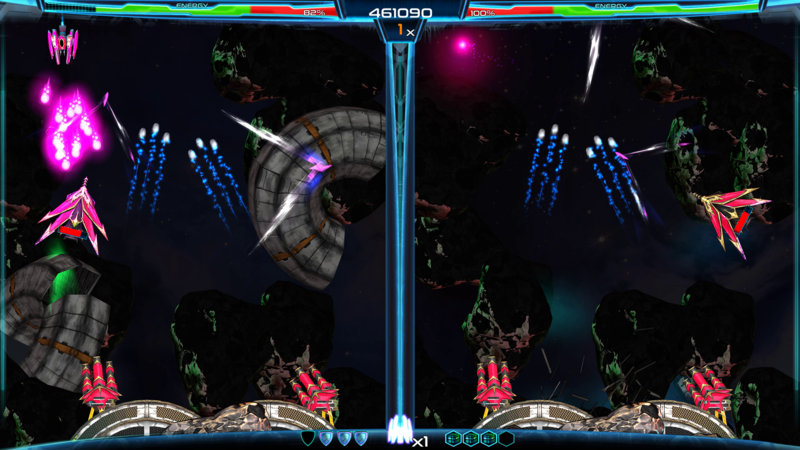 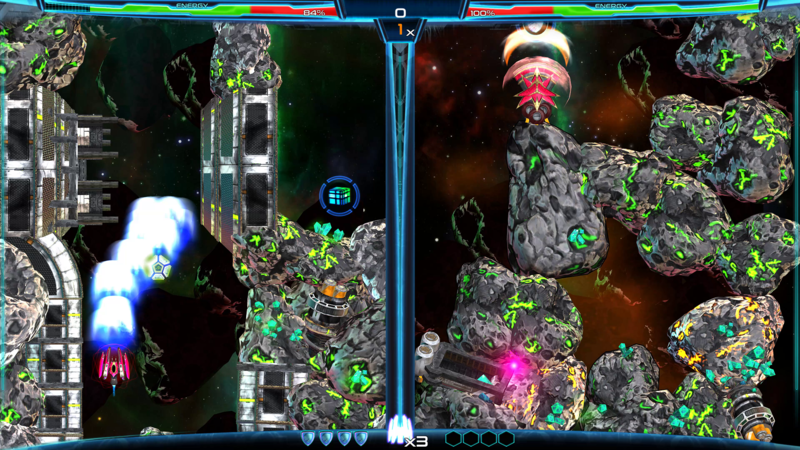 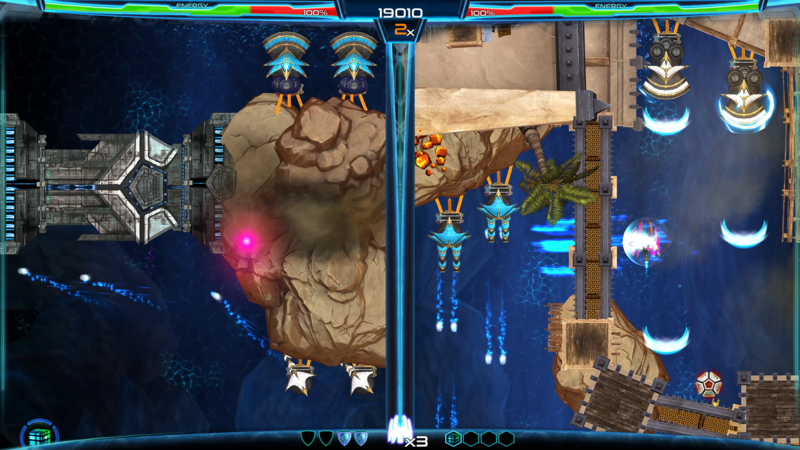 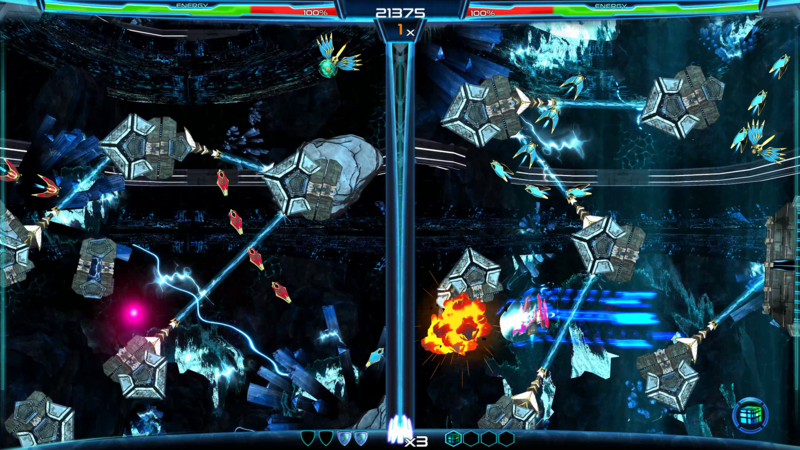 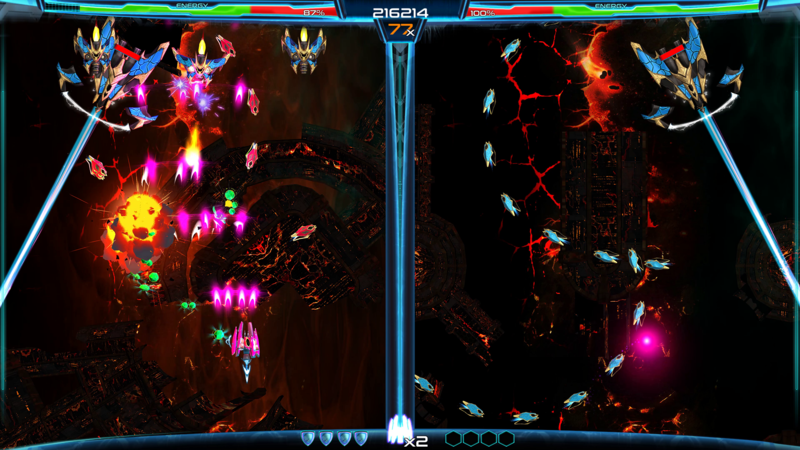 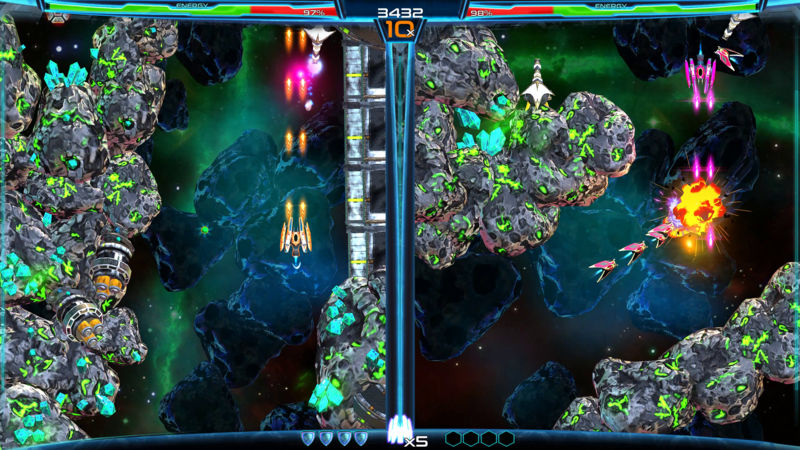 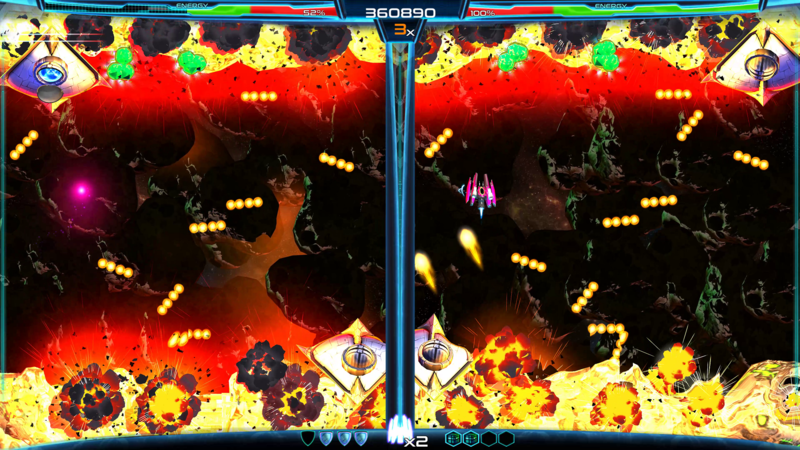 This intense space shoot ’em up challenges you to fight across two battlefields on one splitscreen. 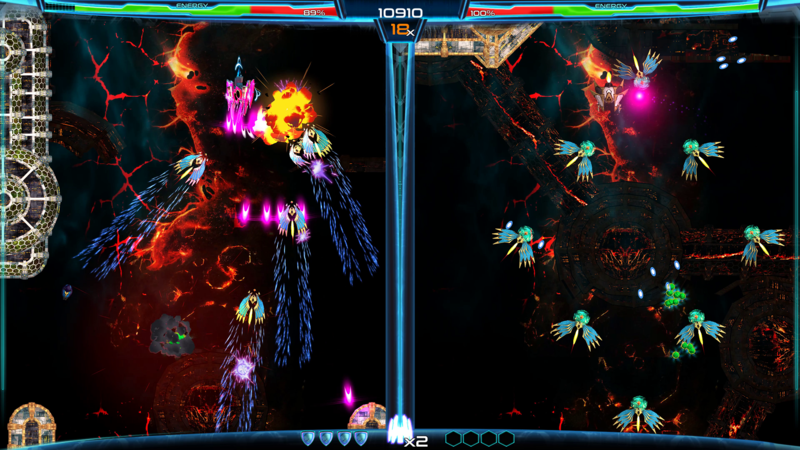 Instantly switch between them to dodge waves of bullets, reach secret areas, or surprise your enemies. 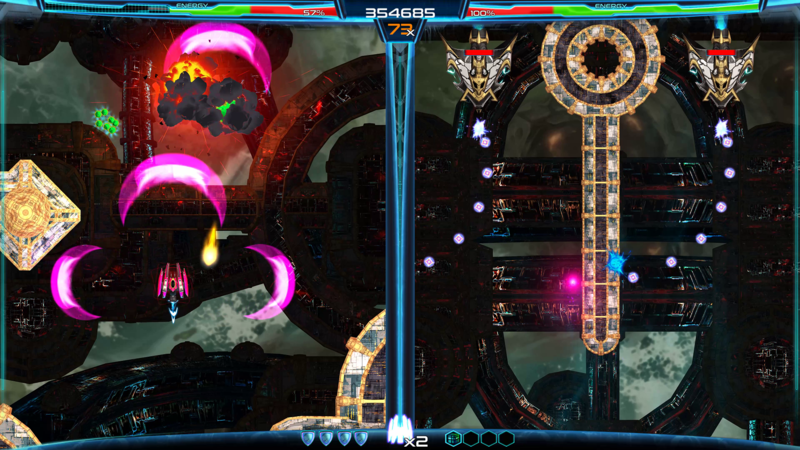 Play solo or turn it up to 11 with a local co-op partner to give your enemies hell when you team up on one screen, or split up to grab as much loot as possible. 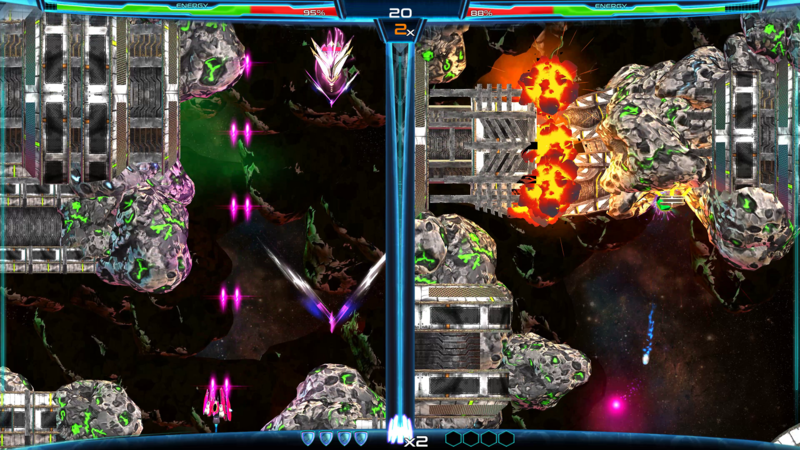 Unlock and power up a variety of weapons like the Flak Shotgun - an overpowered beast that blasts ships to atoms at point blank range or the burning wall of space death streaming from the flame-thrower like Plasma Torch. 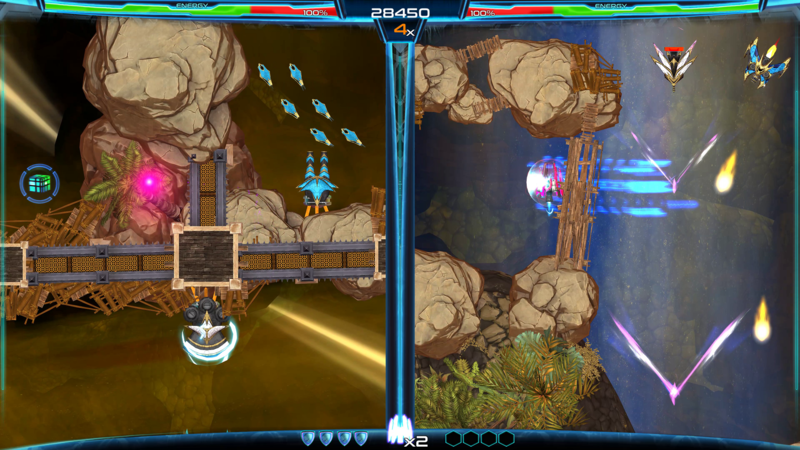 Master advanced techniques like the Drift Drive that lets you dodge bullets in a split second or even flip into Reverse Drive to hit enemies when they least expect it. 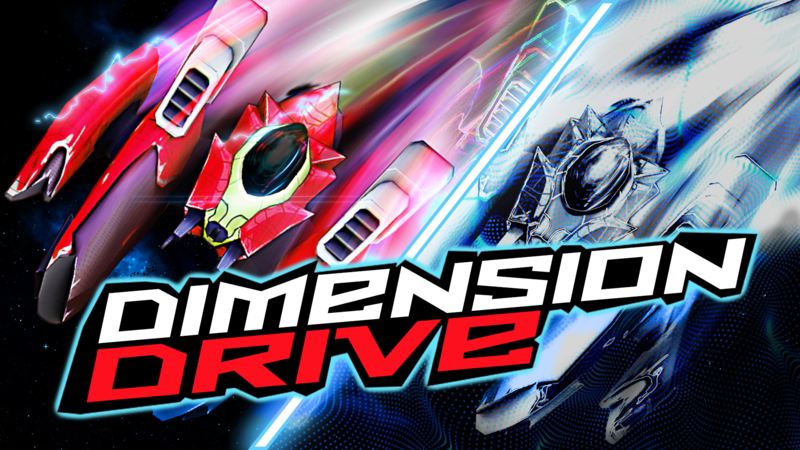 Fight through a richly detailed sci-fi adventure and unfold the secrets of the Dimension Drives, then climb the global leaderboards in four different difficulty modes ranging from Normal for a balanced challenge to Insane for whoever can take the pain. 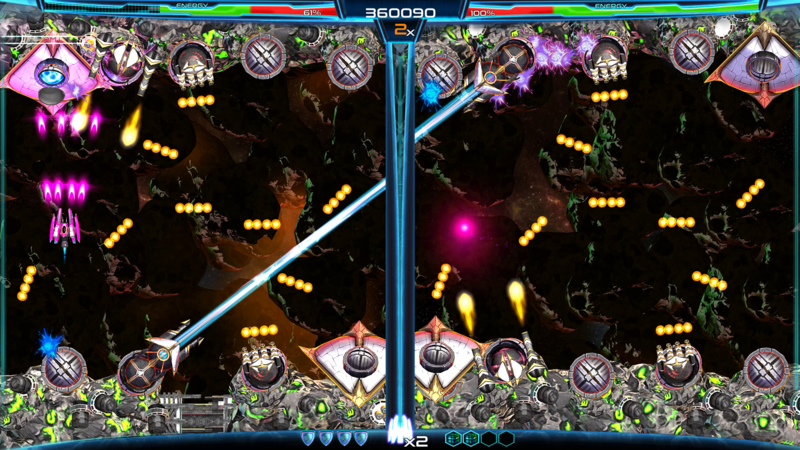 Still too easy? 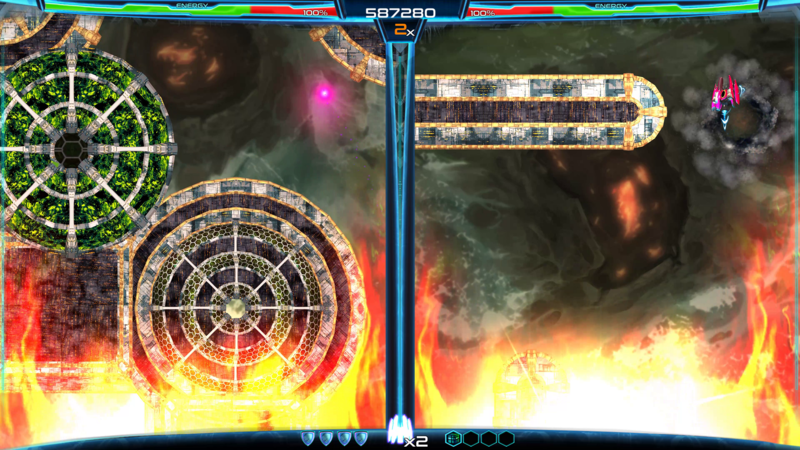 Step into the 13 zones of the Mirror Dimension in New Game+. 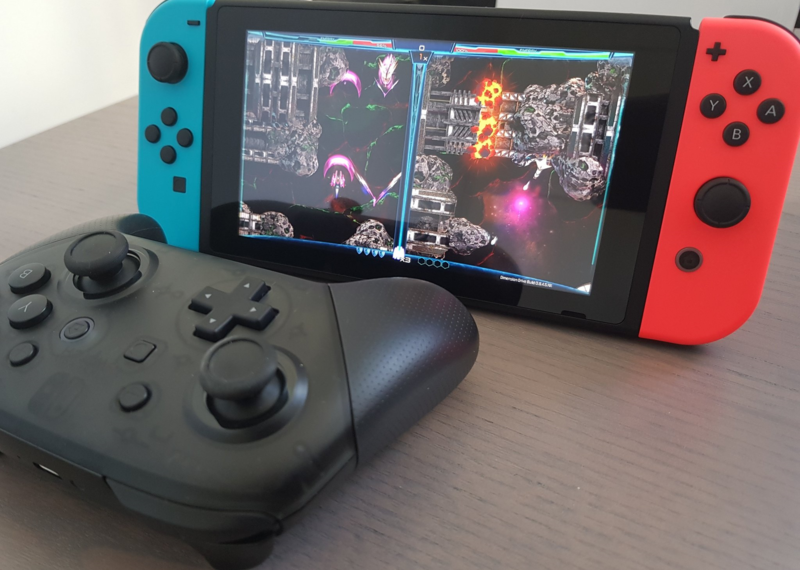 Created by two ex-space engineers, funded on Kickstarter to the tune of $42000 and 1200 backers in 2015 after a first attempt that ended tragically trolled shaking the industry. 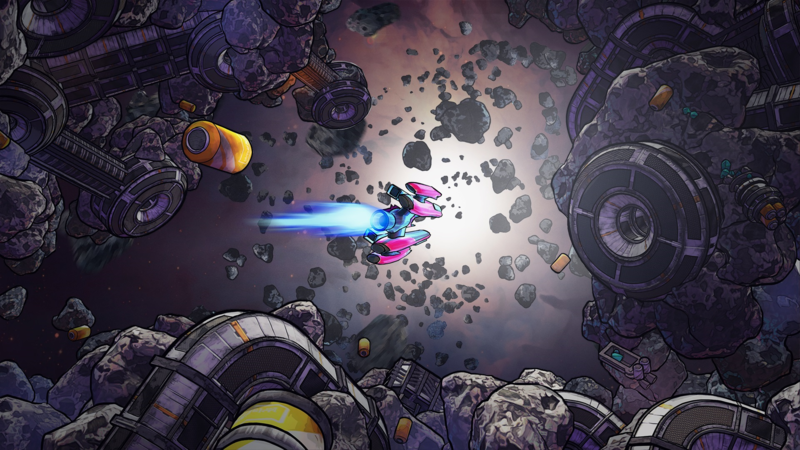 Polished during 8 months with bi-weekly updates on Early Access, Dimension Drive is finally ready to bring a truly new experience to the shoot’em up genre. 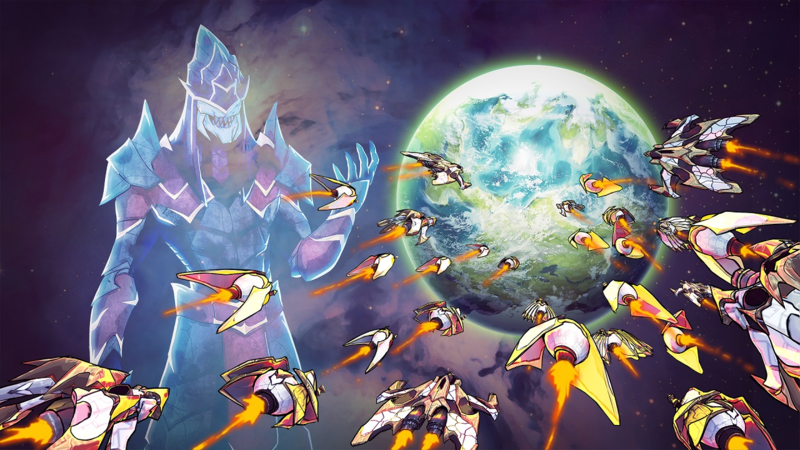 2Awesome Studio's unique teleportation supercharged shoot'em up will make you question what you know about space shooters. 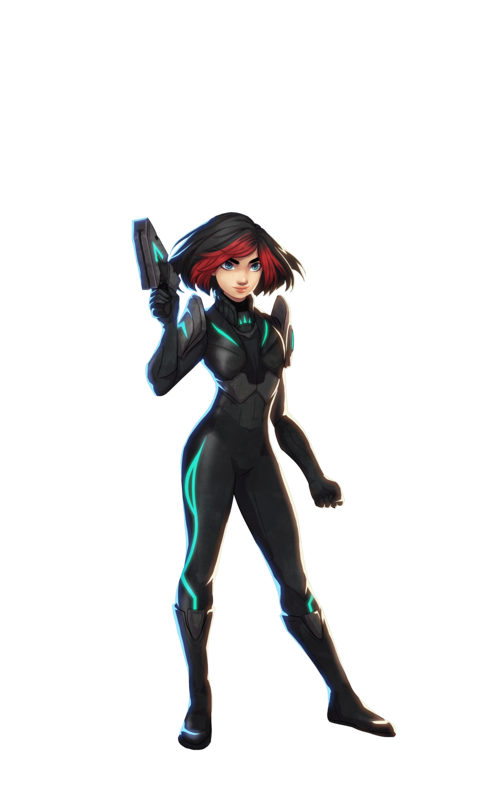 Winner of Momocon Indie Game award 2016, 1st prize Big Indie Pitch at Gamescom 2017 and official selection of several prestigious game events. 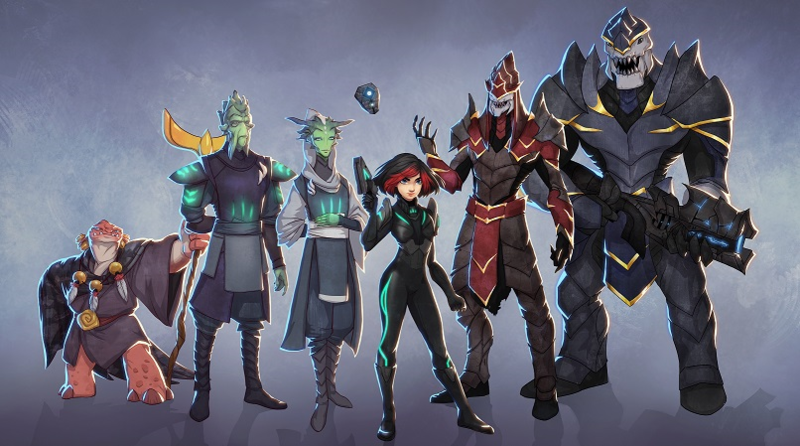 The development blog of Dimension Drive is available at dimensiondrive.com. 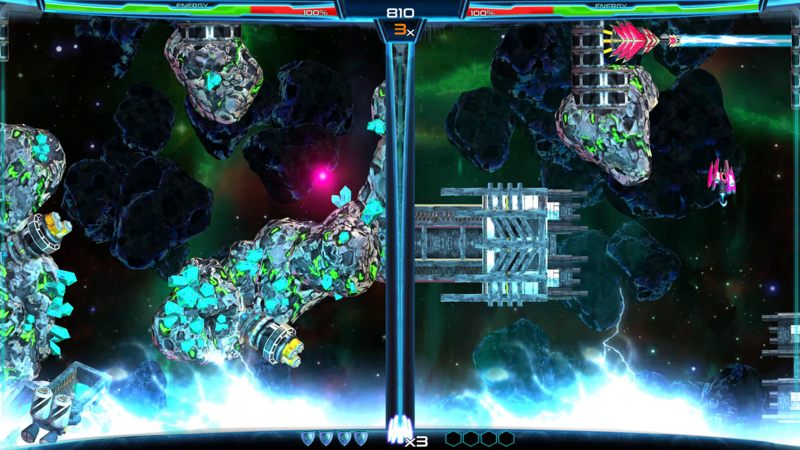 Press/Youtubers can request press keys of our most recent build at dodistribute.com.